“General Hospital” star Laura Wright had some enlightening things to say about whether Bryan Craig will be back in Port Charles. While Wright (Carly Corinthos) thinks it wise to leave Morgan’s fate open-ended, she expressed certainty that, for now, Craig will not return as the youngest Corinthos son. “I just want to say I know for a fact, right now, Bryan Craig is not coming back,” she told Soap Hub. While we soap fans don’t often hear such a definitive statement about an actor’s future, this is a soap opera after all. Anything is possible. This explains why Wright said that in “any normal soap world,” it’s best that Morgan’s body remain missing. However, even with bodies, funerals, and burials characters have been known to return from the dead. Because Craig left to pursue other professional options, Wright said, she could state with certainty that the actor wasn’t about to make a GH reappearance any time soon. Still, fans were shocked when Morgan absconded with Julian’s (William deVry’s) car during a manic episode. The car exploded when a bomb meant for Julian detonated just as Morgan exited the car. Craig has Tweeted twice about the 2017 Emmys, fueling speculation that the talented young man could be nominated again for his work on GH. See his Tweets below. Craig is engaged to former GH co-star Kelly Thiebaud (Britt Westbourne). It has begun! Ballots are out for the Soap Actor pre-nominations for the 44th Annual #DaytimeEmmys!!! Pre-nom results on 1/25 !! I hope “Morgan” never comes back…leave him dead. I don’t care to have Brian Craig or anyone else playing the character. IF they were going to bring the character back, it should have happened shortly after the explosion. I’m sick of BFTD/Amnisia stories! 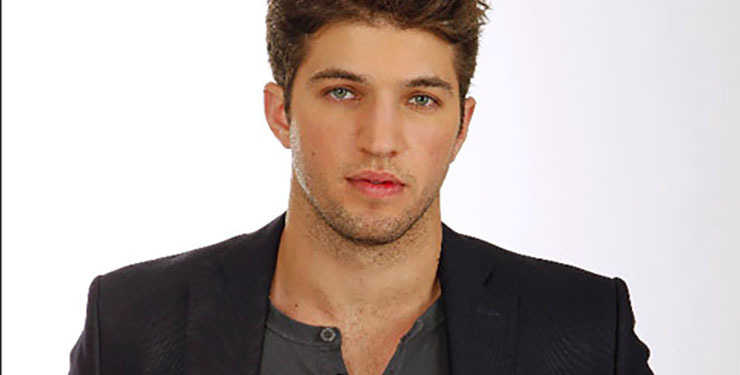 Plz bring Bryan Craig back. We fans miss him playing Morgan. He completes the Corinthos’ family. It’d b a great completion story line n finally Ava would b outted for her part. Ratings would jump up Bc of his huge fan base.